Earn $9.59 in Rewards credit (959 points) What's This? Pack the pounds onto your fat bike. 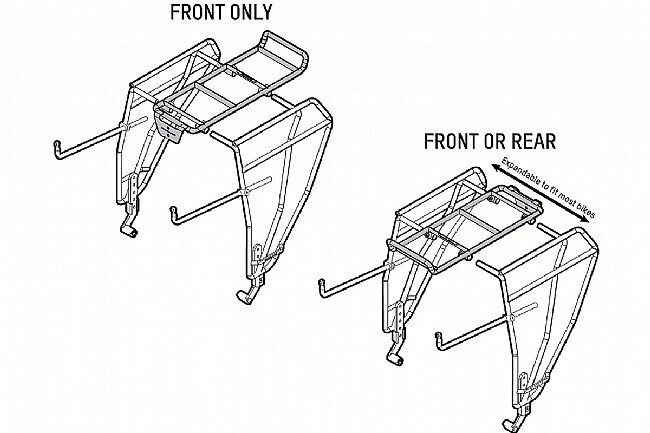 Blackburn's Outpost Fat Bike Rack is designed to fit the monstrous size of today's fat bikes, but with its adjustable width and height, it's also versatile enough to mount to almost any road or mountain bike. 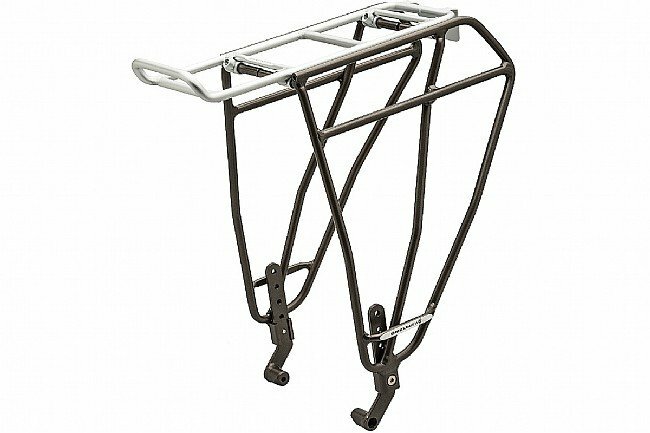 It can be mounted as a front or rear rack, and the 6061 aluminum construction gives it an ample 70 lb load capacity. Tie down points allow for cargo to be securely strapped down, and it even includes an extra long quick release skewer to compensate for the extra space it adds at the dropouts. Disc brake compatible. Claimed weight of 1110 g.